BEIJING • China's ministerial policymakers have vowed to make substantial efforts to boost investment, promote consumption and technological innovation, increase imports and expand opening up, all moves that are in line with requirements of the newly concluded tone-setting Central Economic Work Conference. Mr He Lifeng, chairman of the National Development and Reform Commission, on Sunday said the commission plans to strengthen policy support to shore up growth, with a focus on upgrading the manufacturing sector and supporting infrastructure growth. The Central Economic Work Conference, held from last Wednesday to Friday, called for more investment in areas exhibiting weakness in the economy, such as infrastructure. Top policymakers at the meeting also agreed to stimulate domestic consumption, push for a more comprehensive opening up, and strengthen innovation and technological upgrading. At Sunday's annual work conference of the National Development and Reform Commission, Mr He said the country will map out a strategy for achieving high-quality infrastructure growth. Lending will be increased to support infrastructure construction, rural development, water conservation, ecological and environmental protection, energy and transportation in order to ease economic downside pressure. But "investment needs to be efficient, and projects must be able to bolster areas of weakness in the economy", he said, adding that efforts will be made to encourage private capital to be channelled into infrastructure projects. More efforts will be made to foster upgrading of traditional industries, and the government will step up financial support for the technological transformation of manufacturing firms, said Mr He, adding that a number of world-class technological innovation centres will be built to foster new growth drivers. Consumption has a greater role to play in stabilising growth, and the commission will take more measures to boost domestic demand and unleash gigantic domestic market potential. MR HE LIFENG, chairman of the National Development and Reform Commission. 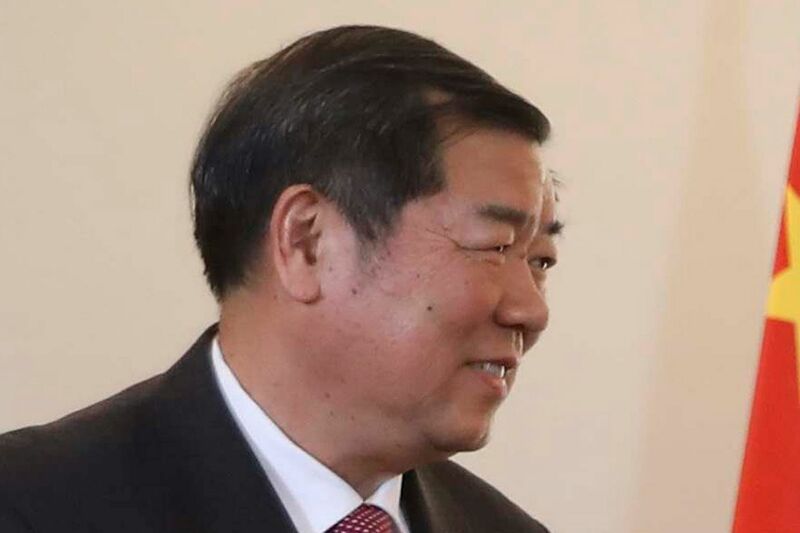 "Consumption has a greater role to play in stabilising growth, and the commission will take more measures to boost domestic demand and unleash gigantic domestic market potential," he said. Consumption contributed to 78 per cent of the country's economic growth in the first three quarters of the year, and China's 400 million middle-income consumers are demanding more imports of high-quality goods and services, according to official data. The Ministry of Commerce held its annual work conference over the weekend, with Minister Zhong Shan vowing to continue promoting reform and opening up, expand domestic consumption, accelerate development of pilot free trade zones and free trade ports, and enhance bilateral and multilateral economic cooperation next year. Deputy director-general Song Xianmao of the ministry's foreign trade department said the country's imports are expected to exceed US$2 trillion (S$2.75 trillion) this year, compared with US$1.84 trillion last year, setting a record and making a greater contribution to global trade. "China will take multiple measures to further increase imports next year such as hosting the second China International Import Expo and increasing imports of agricultural and resource products." China has signed cooperation deals with more than 130 countries, regions and international organisations on jointly developing the Belt and Road Initiative, with 17 free trade agreements involving 25 countries and regions finalised. The work conference, presided over by President Xi Jinping, called for continued expansion of economic opening up. Mr Bernard Dewit, chairman of the Belgian-Chinese Chamber of Commerce, said: "It is reassuring to learn that President Xi reaffirmed in the speech that he emphasised among other subjects that China had pushed forward reform and opening up in 2018 and maintained sustained and healthy economic development. It is reassuring to learn that China will continue in that direction in 2019." He added that it is important for the outside world to have a China with a more open economy and market, and a socially stable country. China and the United States conducted vice-ministerial-level calls last Friday and achieved fresh progress on issues of mutual concern, including trade imbalances and strengthening of intellectual property rights protections, the Ministry of Commerce said in an online statement released on Sunday. The calls came as China's Central Economic Work Conference decided to "push forward Sino-US economic and trade negotiations".